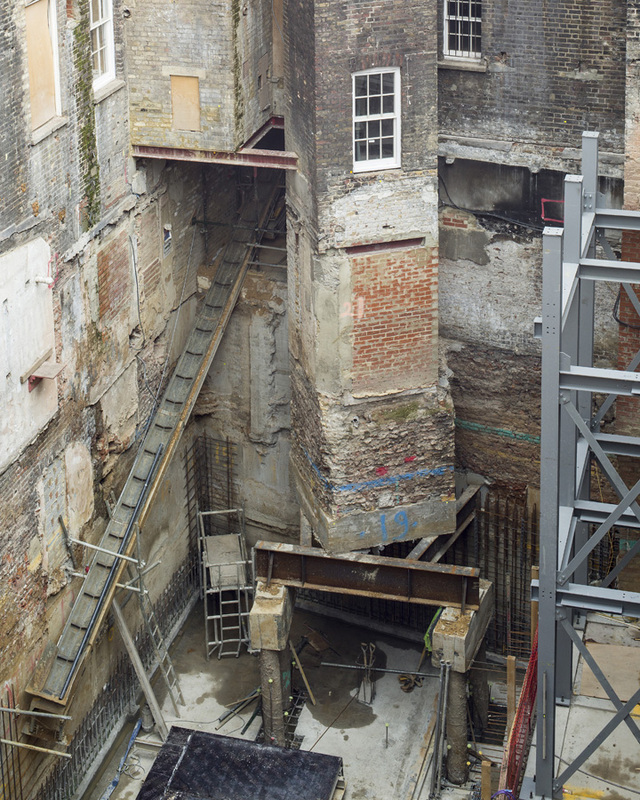 Construction progress: In a major expansion and overhaul of their original West End site, architects SODA Studio are upgrading an entire block of 15 Georgian townhouses, including 11 listed buildings and two of merit, for Soho House & Soho Estates – adding a contemporary architectural pavilion in the site’s central courtyard. Due for completion in 2017, the project involves the meticulous restoration of this historic site. 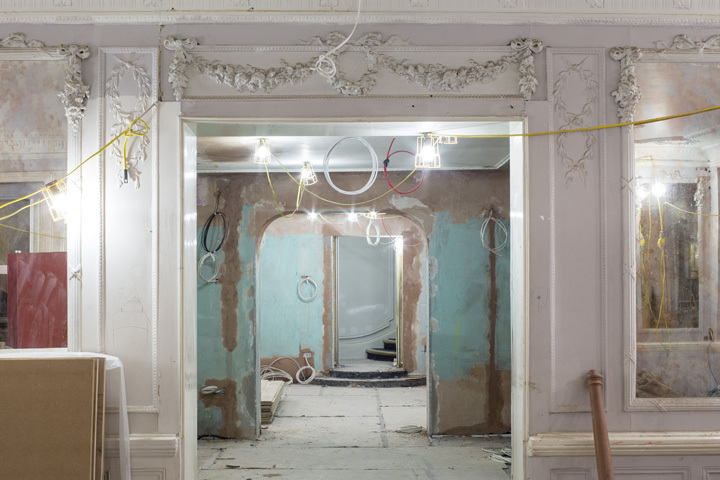 This includes the restoration of Soho’s iconic dining spot, Kettner’s, to its former grandeur, and the complete refurbishment and revitalisation of the original Soho House club – including a redesign of its three signature ground floor restaurants and the creation of a new entrance space. 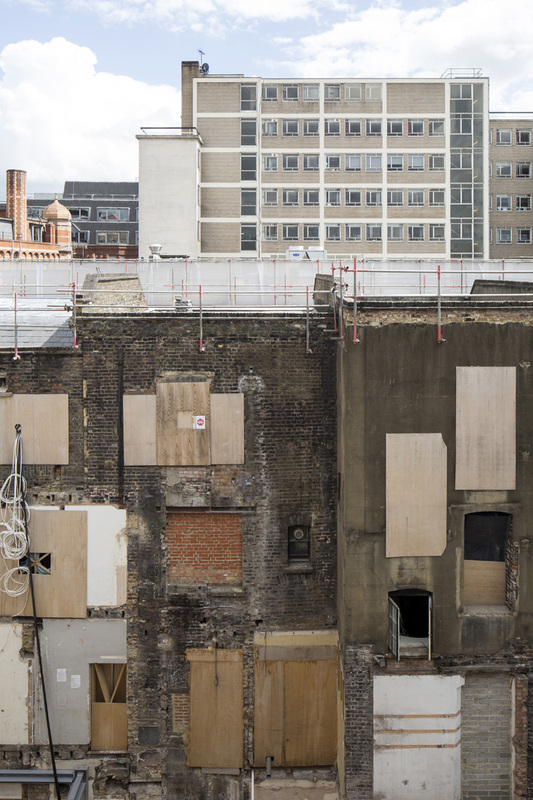 They are also transforming Kettner’s upper storeys into 28 exclusive bedroom suites. The new, zinc-clad pavilion, with undulating pitched roofs, is the central point of the redevelopment and offsets the Georgian townhouses with its clean, modern materials and detailing. Former bar area with original ornate wall detailing. Kettner’s Townhouse, London, United Kingdom. Architect: SODA Studio, 2017. View of wires hanging down. Kettner’s Townhouse, London, United Kingdom. Architect: SODA Studio, 2017. Detail of outter stairwell being propped up by steel supports. Kettner’s Townhouse, London, United Kingdom. Architect: SODA Studio, 2017. View of original stairs. Kettner’s Townhouse, London, United Kingdom. Architect: SODA Studio, 2017. View of new bar under construction. Kettner’s Townhouse, London, United Kingdom. Architect: SODA Studio, 2017. View of boarded windows on future hotel. Kettner’s Townhouse, London, United Kingdom. Architect: SODA Studio, 2017. Detail of wood panels leading to stairs. Kettner’s Townhouse, London, United Kingdom. Architect: SODA Studio, 2017.